You can make some pretty handy things in your ice tray, from herbed butter to pesto cubes. But we have something new up our sleeves. 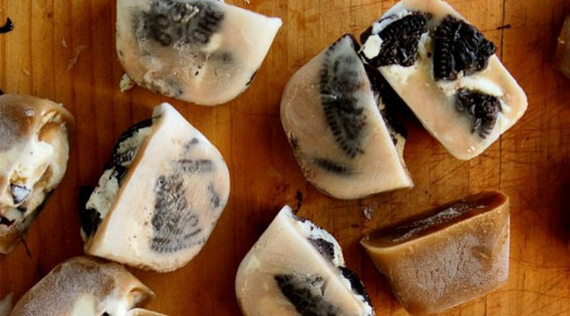 What you need: Milk, Oreo cookies (hell, any cookies) and an ice tray. What you do: Crush the cookies into little pieces, place the crumbs at the bottom of the ice cube tray and then add milk. (We recommend whole milk or 2 percent for the creamiest, richest flavor.) Put the tray in the freezer and four hours later...the cubes are ready! And then? Add them to your coffee, your chai tea, your White Russians. Or, you know, just eat them plain.